The CarePoint Vet U-100 Pen Needles (29G, 1/2", box of 100, model #12-5905) have been specifically designed to assist you with your pet's diabetes care plan. CarePoint Vet Pen Needles are compatible with all major branded U-40 and U-100 syringes. 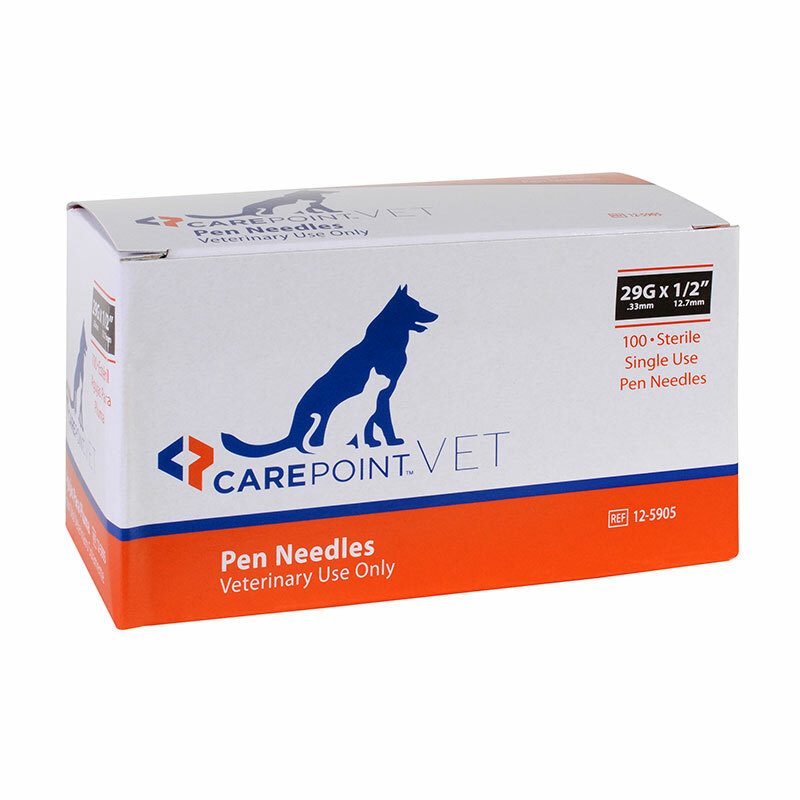 The CarePoint Vet Pen Needles 29G 1/2" 12mm Box of 100 provides a universal fit with all diabetes pens and dosers. The pen needles are lubricated to provide the best possible injection comfort. Compatible with all major brand insulin delivery devices.